Christmas is my absolutely favorite time of year! There’s the food, the crafts, the non-stop Christmas music. I love creating new decor and mason jars are a fun and easy way to do it. 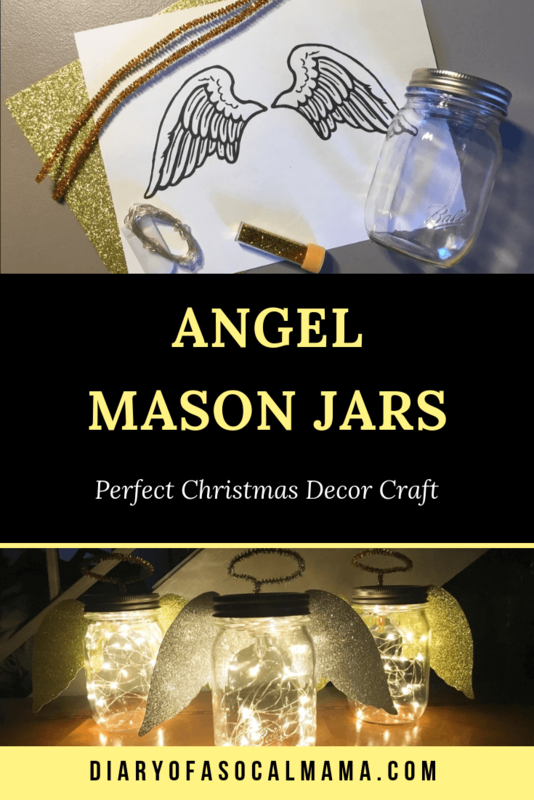 This year I decided I wanted to make angels a central part of my Christmas decor and I haven’t seen many angel mason jars. 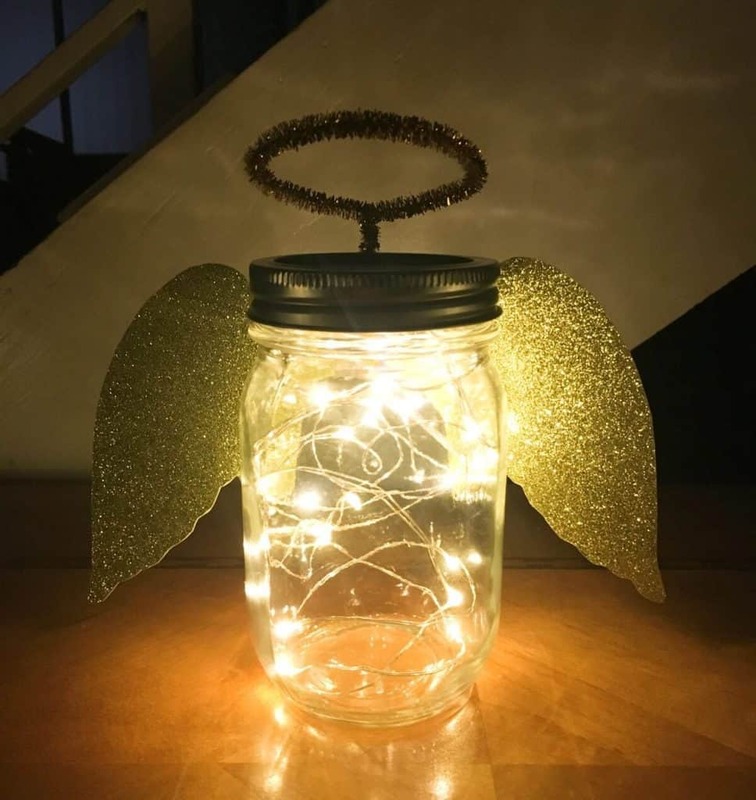 So I created these beautiful little jars to add some twinkle and charm to your holiday decor. I was able to pick up all of these at my local craft store, except the twinkle lights which I ordered on Amazon as I could get a pack for a great price. You’ll need I set of each of these items for each jar you plan to make. 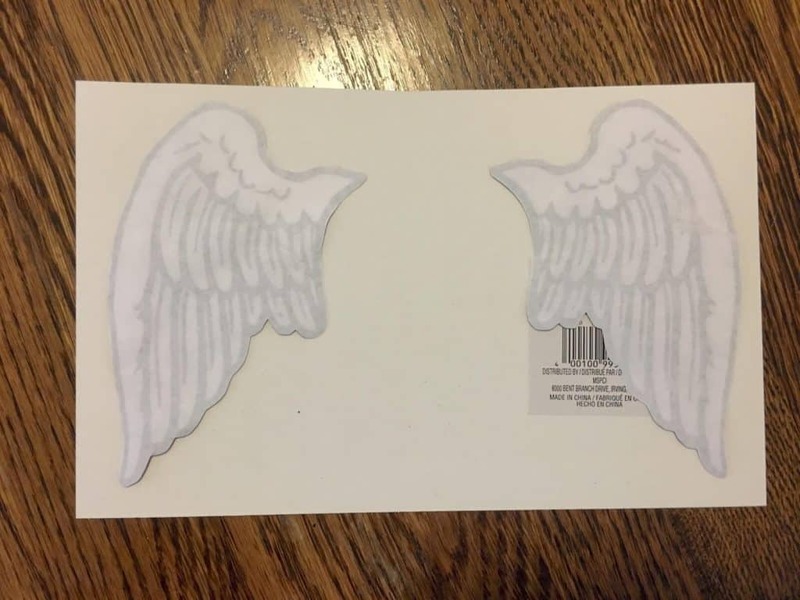 (except the cardstock which you can get 2-3 pairs of wings out of). Optional: Gold Glitter if you use plain cardstock and want it to be glittery. Cut out the wings to use as your template. Use tape to place your wings where you want them. Ensure they are even and not sitting too low or they will touch the table your jars are sitting on. 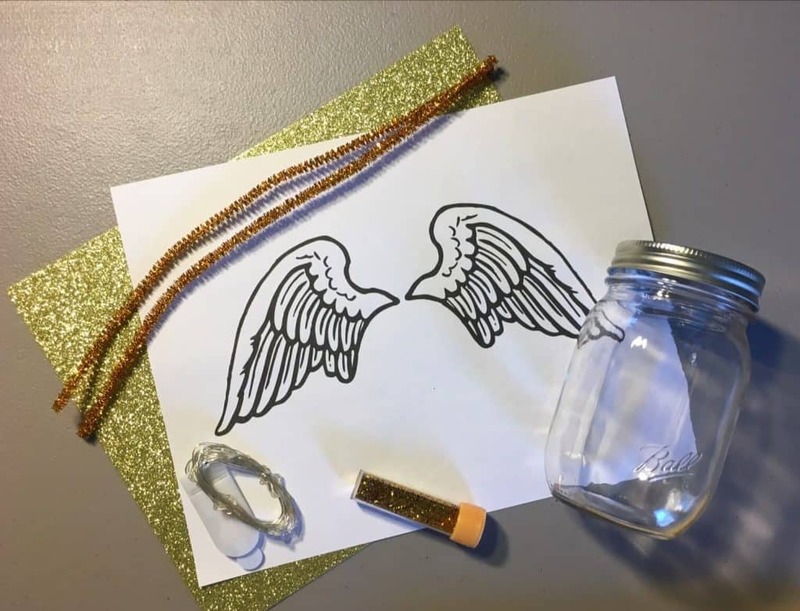 Glue the wings to your jar. You can even leave them held on with clear tape if you want. It won’t show through the twinkle lights. To make a halo take one gold pipe cleaner and make a circle in the middle of it. Try to make it just slightly smaller than the lid of your mason jar. Wrap the two ends of the pipe cleaner around each other to make a stem that you can glue or tape to the back of your jar. 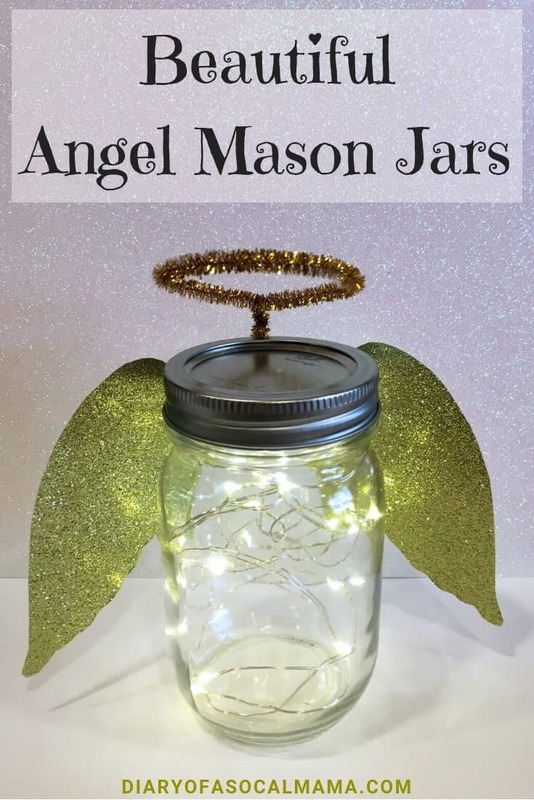 Unwrap the twinkle lights and then curl them into your jar. Glue or tape them to the underside of the lid. I prefer to use tape as it makes it easy to take them out to change the battery or put in a new set when they eventually burn out. Turn on your lights and see them twinkle!